Apply online to become a resident of Key Vista Manufactured Home community near Grand Rapids Michigan. Make home ownership a reality today! Applying for residency at Key Vista is easy! We provide two ways for you to apply. Complete the following online application. Our team will review your application and contact you at the phone number provided. A $25 application fee is required BEFORE the application can be processed. Application Fee must be paid in certified funds. Download an application PDF, complete the form and bring it to our community office. Occupant formmust be completed for all adults (age 18 or older). If residing at current address less than two (2) years, enter previous address below. I/We authorize First Holding Management Company and its affiliates to obtain my/our credit report, employment, court records and other information necessary to live in one of their communities. A photo copy of this application may be used to obtain this information. Any false information in the application may lead to the rejection of this application or the termination of lease. *$50 RETURNED CHECK FEEIn the event that this application for lease is executed by more than one person, the liability of all persons signing shall be joint and several. By clicking the "I/we agree" button below, you agree to the terms and conditions of this application. Key Vista is a great place to call home. Here are a few opinions from those who know best ... our residents. 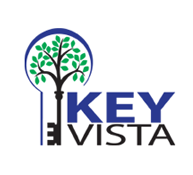 Just minutes from Grand Rapids, Key Vista Manufactured Home Community provides affordable home ownership.